Protect that brilliant, beautiful, and vulnerable ‘do from the damage of thermal stylers, chemicals, UV exposure, humidity, and dryness. Genius Brightening Veil instantly safeguards strands while boosting shine, doubling hair’s strength, and leaving hair super-manageable and frizz-free. Rich exotic oils help restore your golden glow to its glistening best. Directions: After shampooing and conditioning, spray Brightening Veil onto towel-dried hair. Comb through and blow-dry or allow to dry naturally. The Aminopropyl chain in this formula is uncanny to any amino I’ve ever used before. I use it to refresh curls or to sleek my curly hair back up into a tight pony tail. Plus the best part is ITS SMELLS ALMOST IDENTICAL TO M.A.C Turquatic it’s Heaven in a bottle. 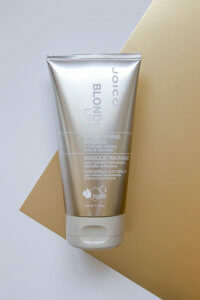 I even sometimes just spray it on my face to have a Nice Joico Veil. It smells like MAC Turquatic… that is all. 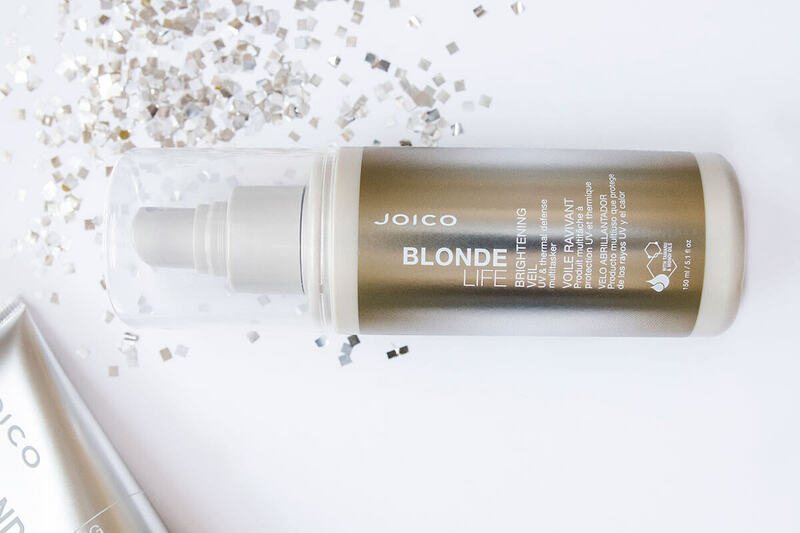 Joico Blonde Life is the best product range I’ve ever used on my hair. I use the shampoo, conditioner, masque and now I’ve just discovered the veil. They are a bit more expensive than some other products, but a little really goes a long way! You don’t need to use as much. The quality of the products is outstanding. My light brown, highlighted hair is brightened and conditioned beautifully and really shiny and glossy. I have straight, naturally blonde hair and it started darkening as I got older and no longer had the time for sun-highlights, so I wanted something to lighten it a bit. This system does just that! 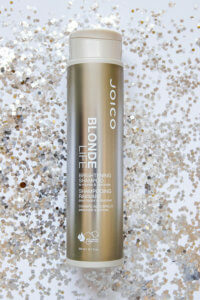 My hair is brighter blonde and this leave-in makes it so shiny and manageable! Blow-drying used to leave my hair a frizzy mess and took forever with thick hair, so I went the lazy route and let it air dry. With this, though, it blow-dries smooth, shiny and amazing! I have gotten so many compliments on my hair and keep having people ask if it’s a new cut because it looks that different after this product! 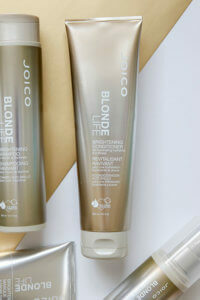 I love this stuff and can’t recommend it enough to natural blondes who want to help with brightness.